Returns from a Swiss Collector: Anonymity Amnesty? Continuing with the idea of the anonymous Swiss collector as an auction catalogue trope, I want to raise the question of returns. If Switzerland is getting better, if the “tide has turned”, so to speak, on the antiquities market, and if the items that I imagine are collecting dust in some Swiss warehouse are now unsellable, will we see a sort of anonymity amnesty develop? 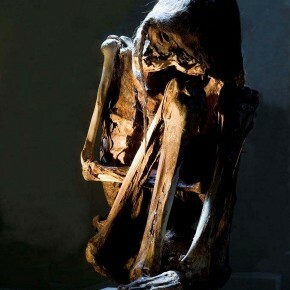 In January of this year, it was announced that an anonymous Swiss collector was returning four human mummies to Chile. The mummies were said to be from the Atacama desert, and range in date from perhaps 7,000 years old to only 500 years old, meaning after the Conquest. Mystery, intrigue, grotesque…and a pass? Clearly I don’t (and can’t) know the details of the situation but it seems like a fellow was caught in Switzerland with a surprising amount of Chilean human remains, he was probably under the impression that holding them in Switzerland would clean up their illegality, and he found out that he was wrong. Perhaps they had been sitting around there for a while. Yet, to read between the lines a little bit, a few issues beg comment. First, is this a collector or is this a dealer? As I noted before, in the auction world, the “anonymous Swiss collector” is rarely a true collector, s/he is an antiquities dealer/middleman who historically passed artifacts through Switzerland so that they might gain a pseudo-legal provenance. That there were so many mummies (and other bits and pieces!!) from Chile in this one “collection”, and that some were in a poor state makes me wonder if this is a dealer. Second, why does the individual get to cling to his Swiss anonymity? This seems to be a “we will let this slide if you give it all back and don’t make a fuss” situation. A sort of amnesty for a return. Amnesty returns in the looting/antiquities crime world are horrible divisive to the point where I don’t even know where I stand. Plus: the object is returned and a sale is not made! Minus: a dealer gets a chance to smuggle and try to make bank on an illicit object and is able to ‘return’ it with no penalty if he can’t find a buyer. Either way there is no transparency in either the market or the fight against the market. A further level of complication is that we are talking about human remains. I have no idea how Switzerland governs such things, but in much of the rest of the world a human body, no matter how old, is in a totally different category of regulation than non-human cultual property. (Word to the wise: if you live in the UK and you find a three thousand year old human body, you still need to call the police.) This may have been a grey area in Swiss law, complicating the matter. If anyone out there knows more about human remains regulation in Switzerland, let me know, but the facts seem to be that these bodies left Chile illegally, the entered Switzerland dubiously, and they have been returned with government-sanctioned anonymity. Will the anonymous Swiss collector become the anonymous Swiss returner?